Unfortunately, there’s no step-by-step training manual when it comes to playing the keyboard. There are, however, certain dos and don’ts of the craft. To help you become the best keyboard player you can be, we’ve assembled a list of the most common rules to follow when first learning to play the keyboard or piano. These keyboard tips, along with regular keyboard lessons and dedicated practice, will help you go from beginner to expert in no time! Do learn to sit correctly. Believe it or not, there’s a right and wrong way to sit when playing the piano or keyboard. Ideally, you should sit on the front half of the bench but far enough away so that your arms can move freely. Your feet should be firmly planted on the floor and enough distance from the keys that only a small portion of your knees are underneath it. This position will give you the greatest flexibility and will also enable you to apply the correct amount of pressure to the keys without straining your muscles. Don’t skip over learning scales. Scales are the building blocks to learning to play complete songs. Although sometimes tedious to learn at first, scales will come in handy as your playing progresses and as you learn to play more complex songs. But don’t think you need to learn them all overnight. Take your time and tackle them one by one. Before you know it, you’ll have them all down pat! When first learning to play the keys, it can be difficult to stay on time. To help combat that problem, invest in a metronome. A metronome will help you play in time or even enable you to slow things down if needed until you’re at a level where you can play a song at the intended speed. Don’t underestimate the power of proper hand position. How and where you place your hands and fingers is extremely important. Incorrect finger and hand position can impede your progress and put stress on your muscles. To correctly position your hands for optimal playing, they should be slightly arched with your fingers curved gently over the keys as if holding a tennis ball. This hand position will give you the most flexibility and will allow you to quickly move from one key to the next. Do practice as much as possible. This keyboard tip is a must! While you should practice on your own as much as possible, another great option is keyboard lessons. 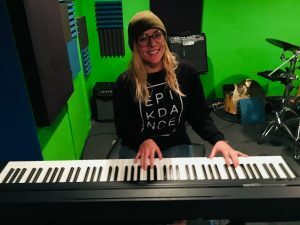 With keyboard lessons like the ones taught at Scottsdale Music Academy, you’ll get plenty of playing time and one-on-one attention to help you identify your weaknesses and grow as a musician. Don’t play music you don’t enjoy. There’s nothing worse than playing or listening to music you don’t enjoy. 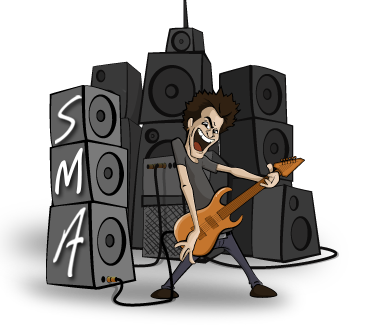 To make the learning process as fun as can be, focus on playing songs you actually like. 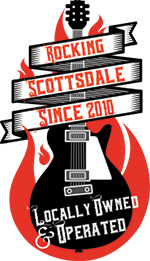 At Scottsdale Music Academy, we believe students should have a say in the songs they learn to play. That way, you’re more likely to stay motivated and excited about the process. For even more keyboard tips and tricks, schedule a keyboard lesson with us or visit us in person at our Scottsdale studio.